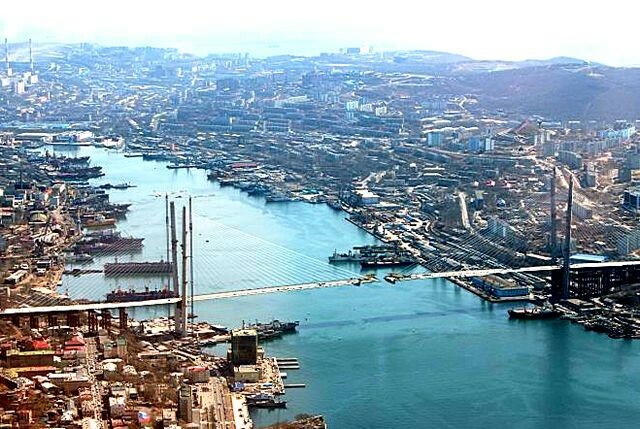 Vladivostok, the capital of Primorsky Krai, is one of the largest cities in the Far East of Russia. 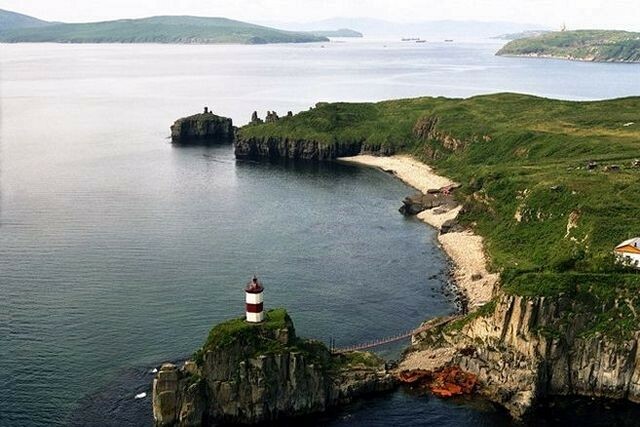 Its located on the southern part of the picturesque Murrviov — Amursky Peninsula. 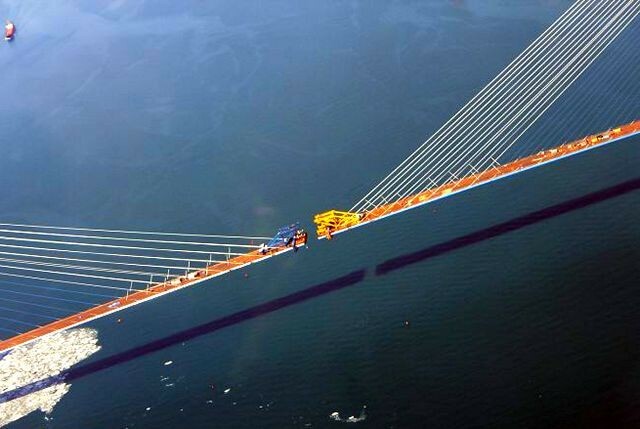 There are more than 800,000 citizens, which are mainly fishermen, sailors, shipbuilders, scientists, and students. 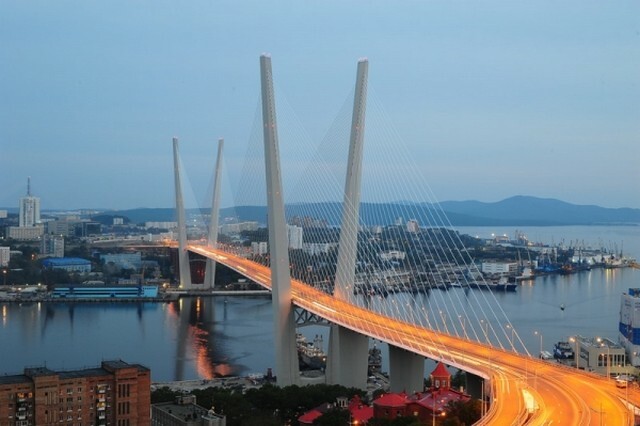 Vladivostok’s favorable location truly does make it the “Gateway to the Russian Far East”. It’s a great crossing of international shipping routes and airlines. 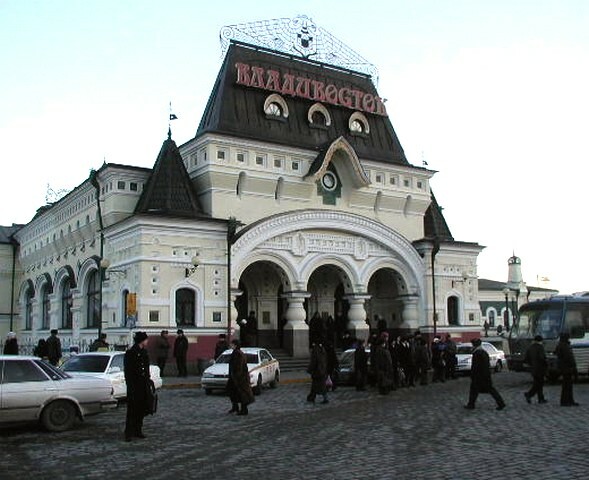 Here ends the Trans-Siberian Railroad, through which containerized cargo is delivered from Asia to Europe and back. 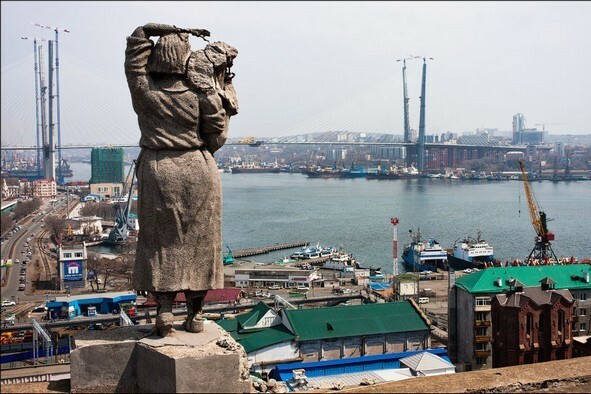 Founded as an outpost and designed to be a marine fortress, Vladivostok was a closed city for decades. 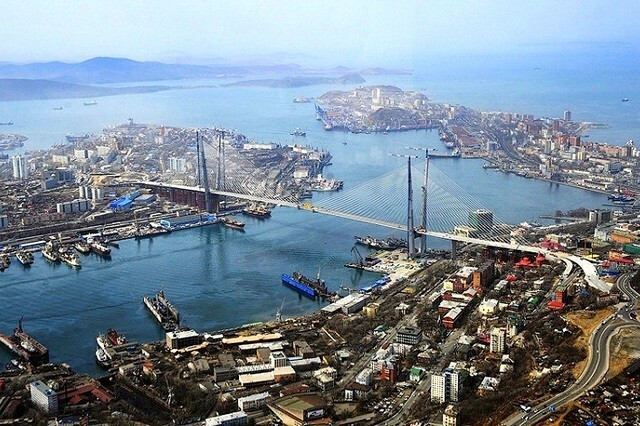 Foreigners were net allowed to visit Vladivostok and even Russians needed special permission. 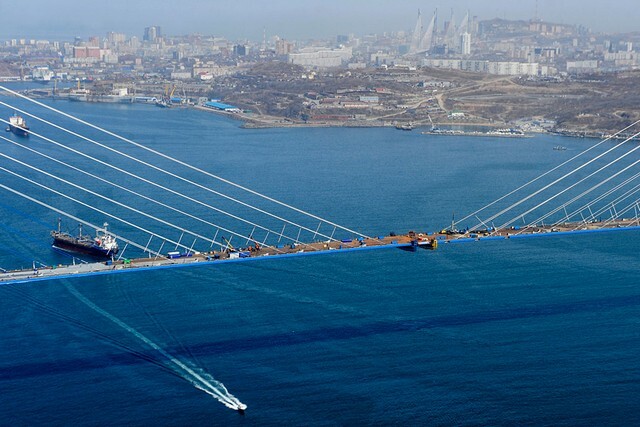 In 1992, Vladivostok was officially opened for foreign visitors. 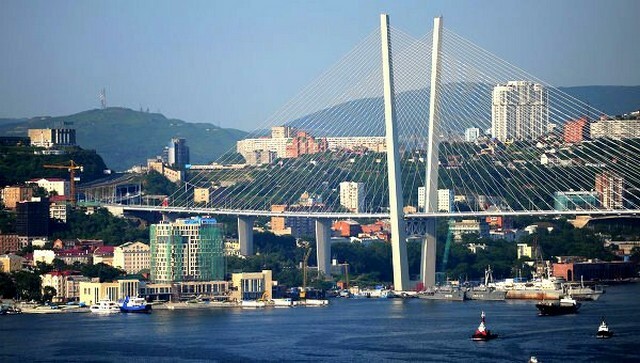 Colonization of the south of Primorye and then Vladivostok became possible since signing of the Aigun and Beijing treaties between Russia and China in 19-th century. 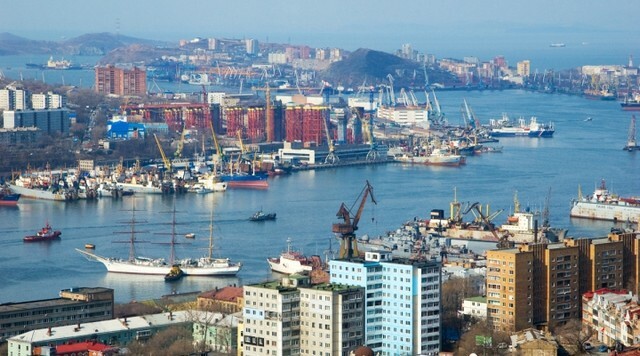 Vladivostok was founded in 1860, on the coast of the Pacific Ocean, and in April 1880 it officially obtained a city status. In that time, virgin forests surrounded the city, the habitat of the Ussury tiger. 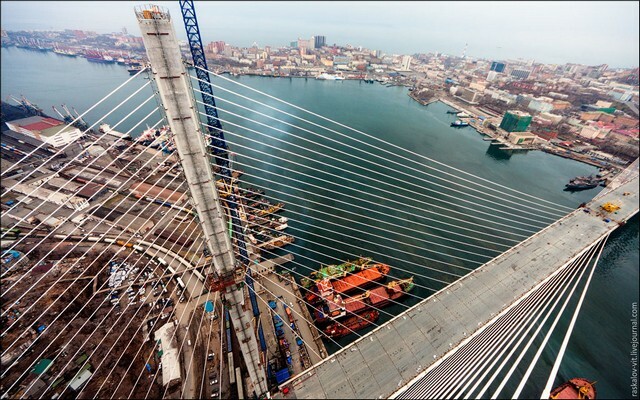 The history of the city is reflected in the symbol of Vladivostok with a depiction of a tower, crossed anchors and tiger. During the 1870s, the first defence structures and coastal batteries were constructed on the coasts of the Golden Horn Bay and on neighboring islands. 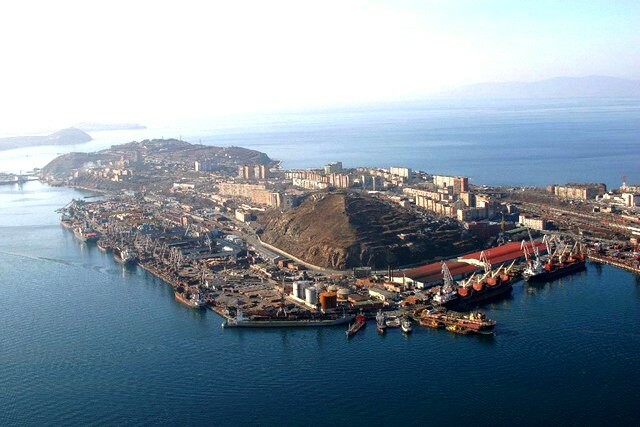 In 1889, Vladivostok became a military maritime fortress. 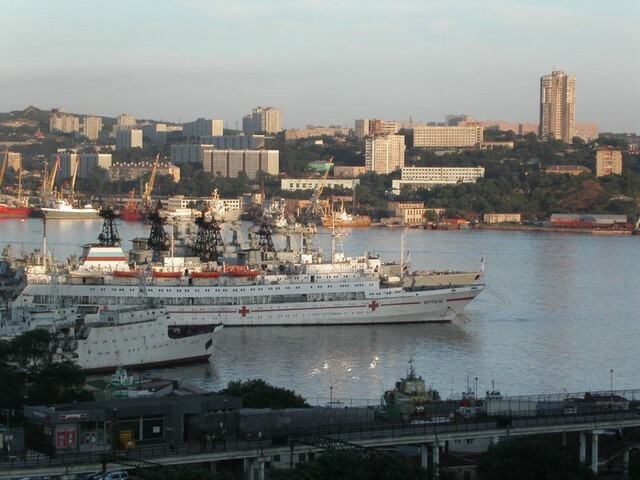 The Vladivostok Fortress is one of its kind military complexes in Russia. Today, tourists are impressed by the underground passageways and forts that are still visible in the centre of the city. It is interested to note that during all history of the fortress, guns have never been fired towards an enemy. One of the most visited parts of the Fortress is the battery “Bezymyannaya”, which has been restored into a museum. 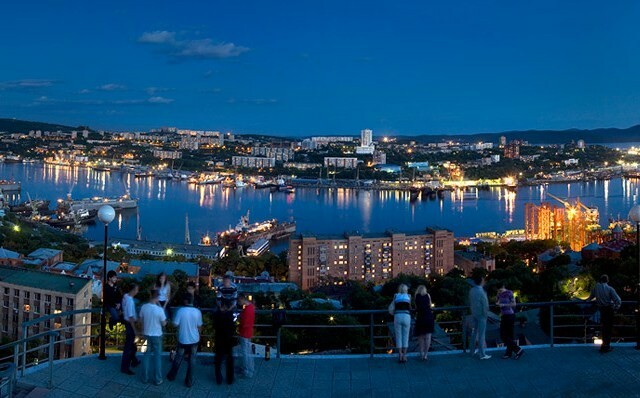 It is located nearby the city center and always filled with tourists. 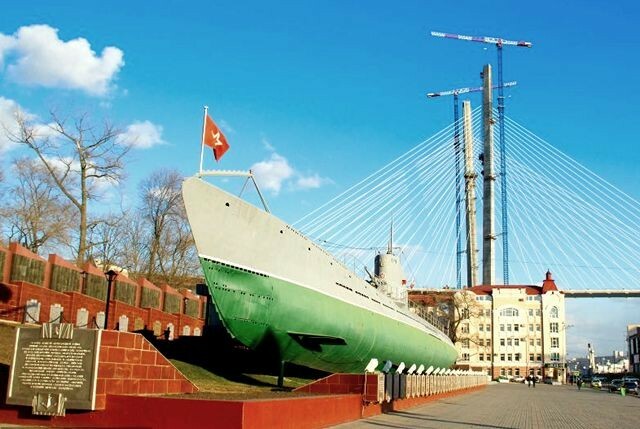 The historic vessel “Krasny Vympel” (“Red Vympel”) and a memorial of Soviet submarine S-56, which is displayed nearby on Karabelnaya Embankment are also very popular. These both museums are open for visitors. 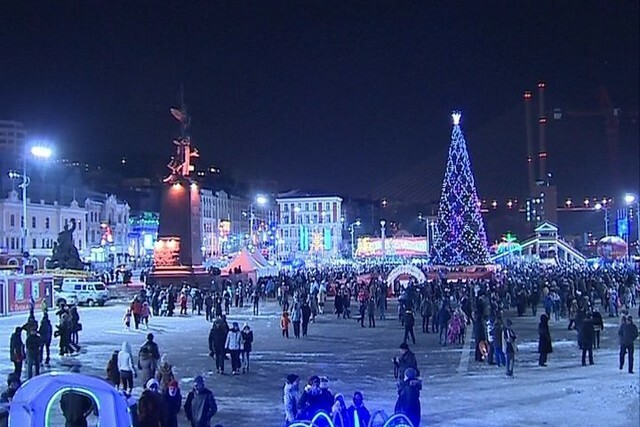 One of the most interesting times to visit Vladivostok is during holidays or special events. 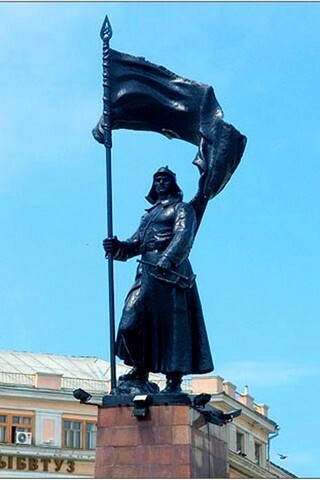 The Great Victory Day is a national Russian holiday celebrated on May 9. On this day you can see a parade of war veterans, a military parade, a ceremony of genuflection, and victory salute. 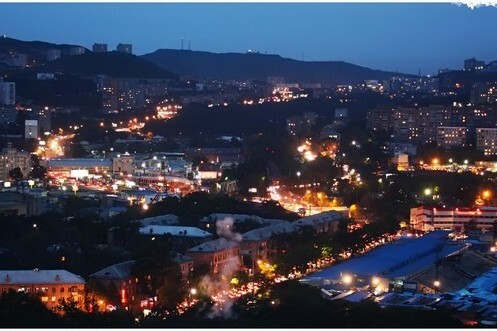 City Day, the most important summer holiday occurs on July 2. 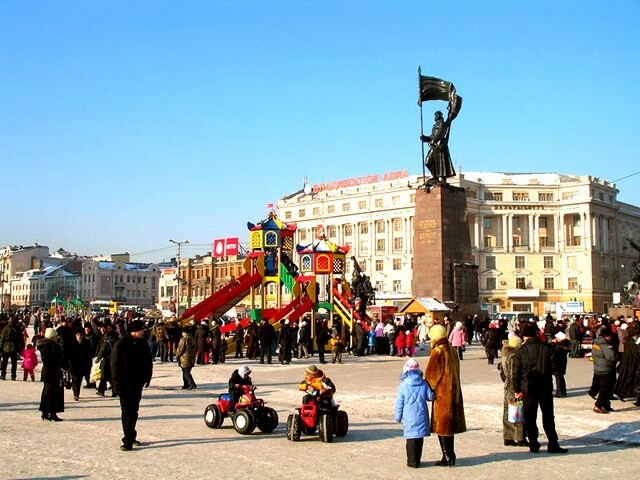 People gather in the streets and squares and there are music performances and contests. 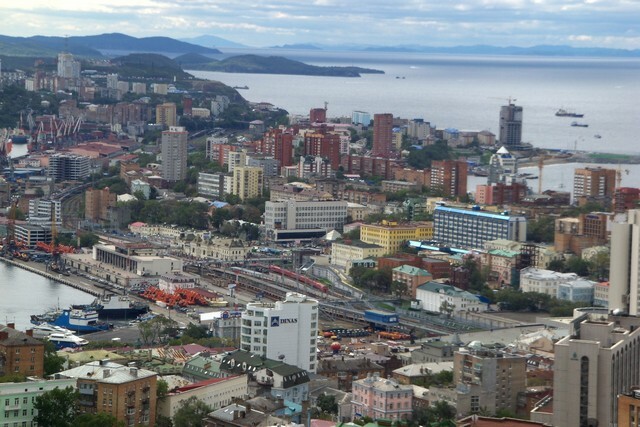 Lots of visitors from neighboring countries and cities come to Vladivostok on this day. Evening starts with a spectacular display of firework. The second Sunday in July is a Fisherman Day. A great theatrical performance with a god of sea Neptune and tasting of special fish soup leave unforgettable impression. Fishing vessels are open to the public for excursions. 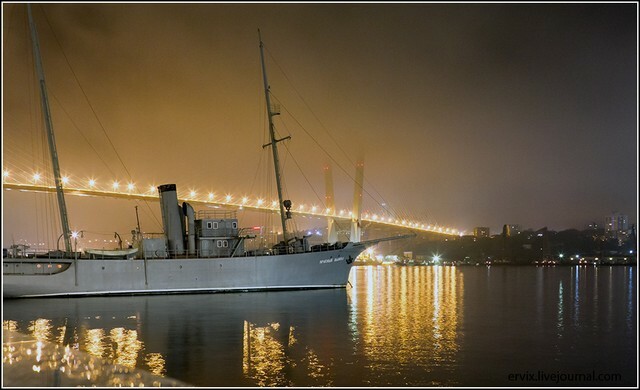 On the last Sunday in July, Vladivostok celebrates the Russian Navy Day, a national holiday. 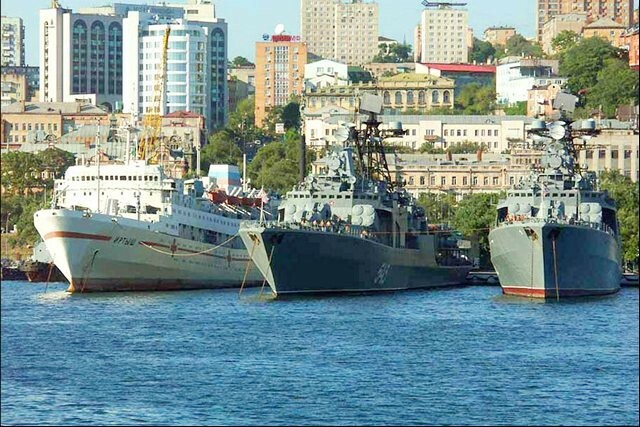 Citizens and guests of Vladivostok can see a military parade, military equipment exhibitions, and the parade of the Pacific Fleet vessels in the Ussury Bay. Another interesting holiday, Tiger Day, occurs on the second Sunday in October. 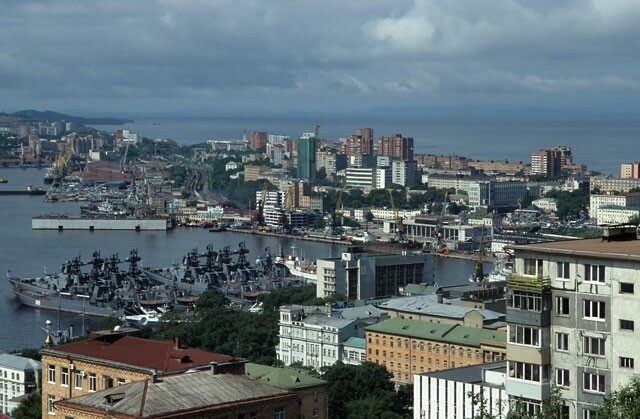 The Ussury tiger is the heraldic symbol of Vladivostok. Children in fancy-costumes depicting tigers, leopards, and other wild animals that live in the Ussury taiga, march along the Vladivostok streets. 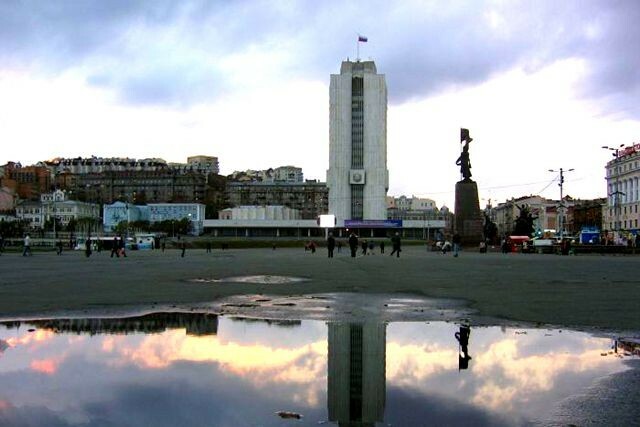 Vladivostok is leading scientific centre of Russian Far East and houses the headquarters of the Far Eastern Branch of The Russian Academy of Science. 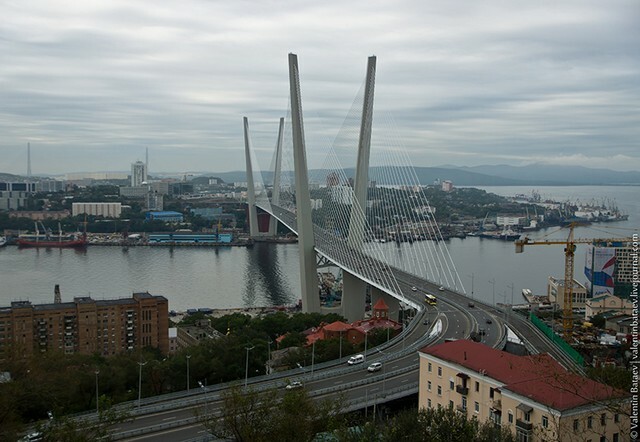 The academy consists of 38 scientific research institutions located in Vladivostok and other cities of Russian Far East. Many researches are well known in the world. 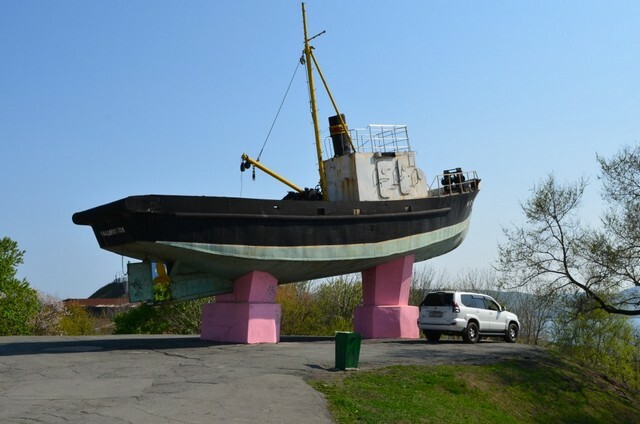 Vladivostok has an impressive array of educational canters. 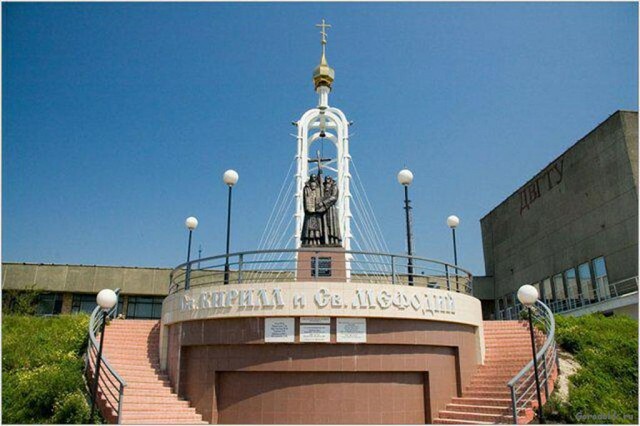 There are 13 higher educational institutes and a number of affiliates of Moscow institutes and universities, which are attended by about 70,000 students. 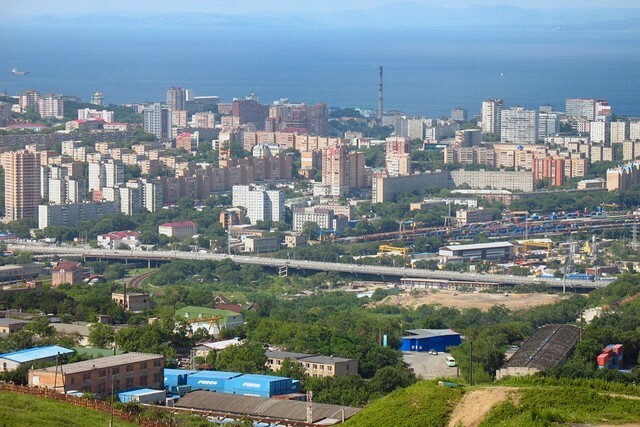 The major schools include the Ear Eastern State University, Far Eastern State Technical University, Vladivostok Medical University, Marine State University, Pacific Navy Institute, Vladivostok State University of Economics and Service, Pacific State Economic University. Many universities have established links with educational institutes of the China, USA, Japan, Korea and other countries. 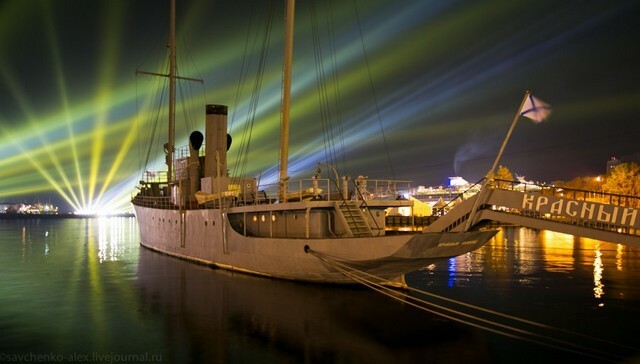 Among Vladivostok attractions are two tall sailings ships named “Pallada” and “Nadezhda” (“Hope”). 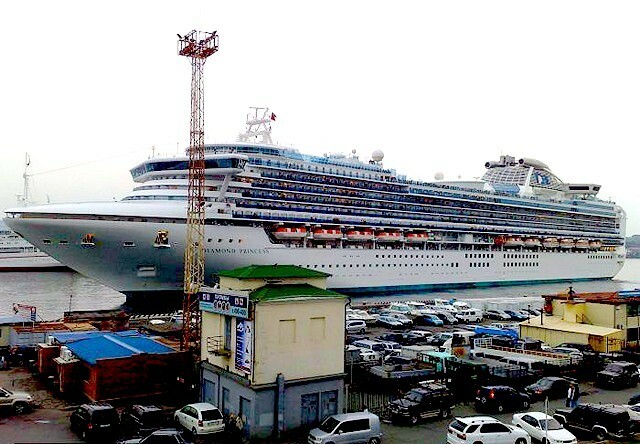 These vessels can be seen in the largest ports of the world during their round-the world trips. 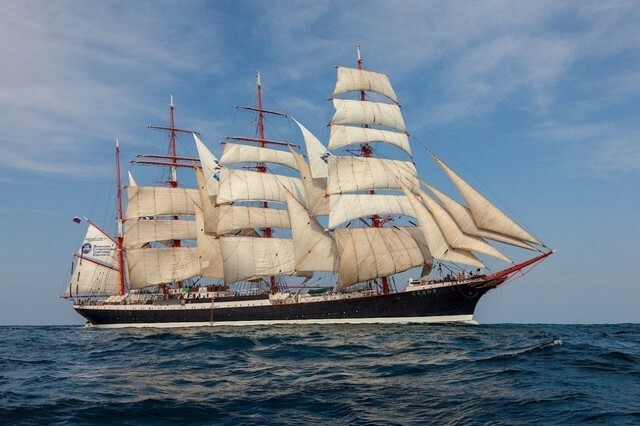 They were designed to train students which major in seamanship. 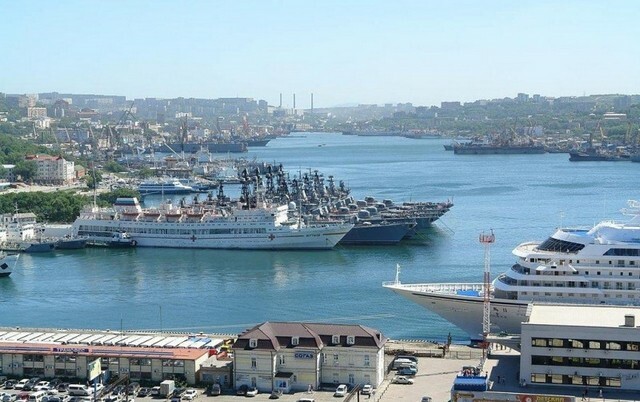 It also possible to arrange tourist trips on these ships. 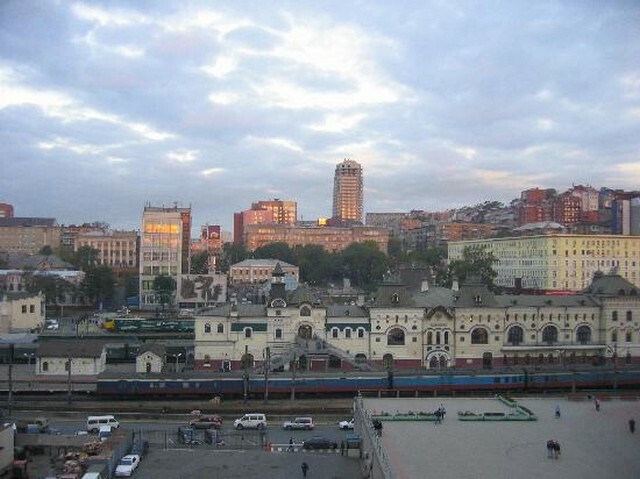 The celebrated Trans-Siberian Railroad begins in Moscow and ends in the City of Vladivostok. 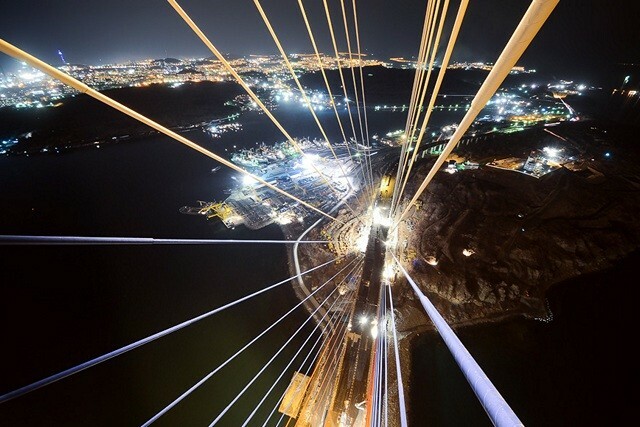 The construction of the road was started in 1891, and completed in 1916. 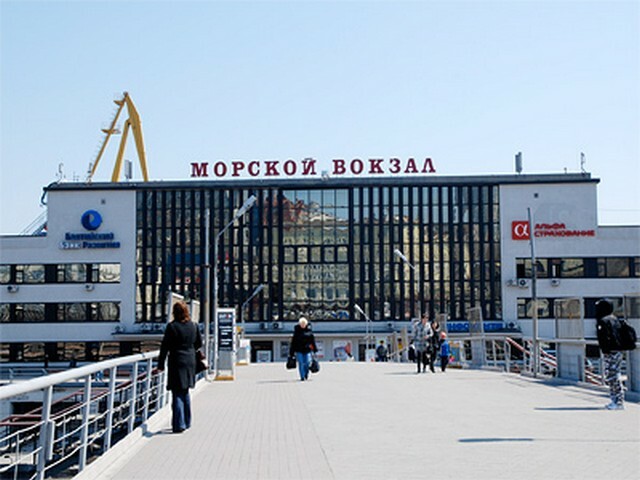 To symbolize the unity of Russia, Vladivostok’s station has a similar design to the station in Moscow. An old sign with figure “9,288” represents the distance in kilometers from Moscow to Vladivostok. 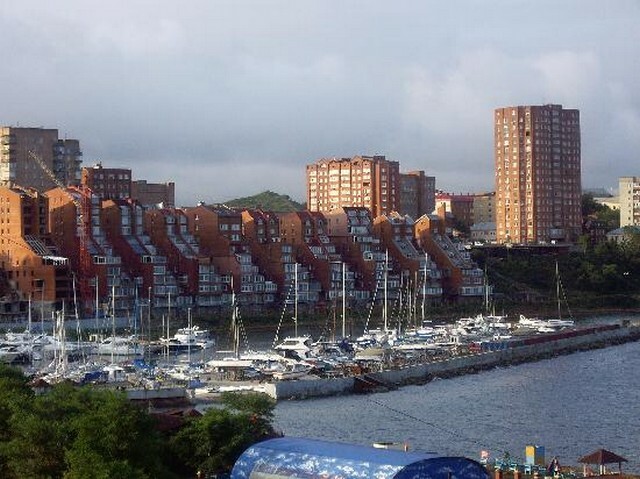 The architecture of Vladivostok is a mix of different styles. 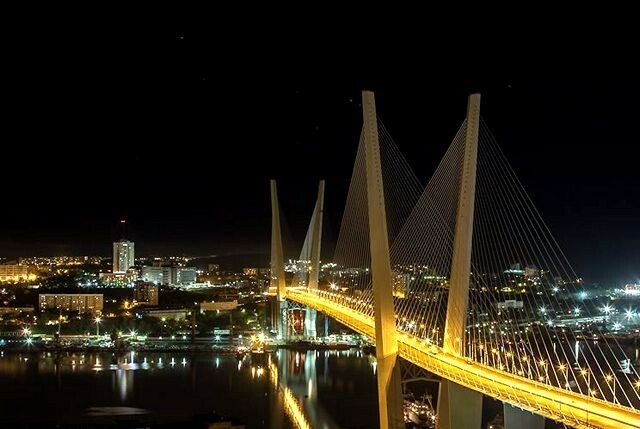 There ate no skyscrapers or large bridges spanning the bays, but the historic centre of city reflected a sense of old world charm. There are many unusual buildings which were constructed between 1880 and 1900. Various architectural styles and traditions reflect the influence of both Western and Oriental cultures. Splendid buildings such as the Versailles Hotel, the Pushkin Theatre, the Vladivostok Post Office, museums and others make Vladivostok truly unique. 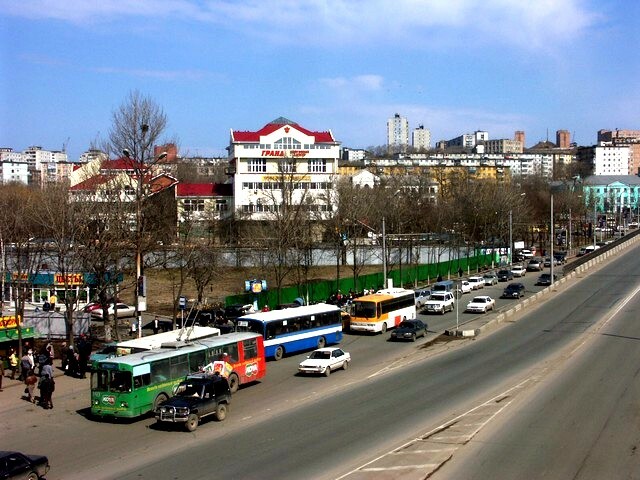 Within recent years lots of modern multi-storey housing, shopping centers and office buildings have been constructed in the city. A small China town district remains in the city center. Many years ago Chinese people built an amazing labyrinth of houses, yards, passageways, and staircases. 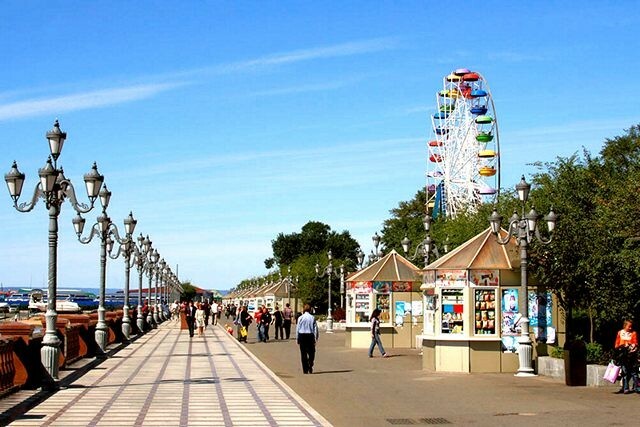 Today, it is a city’s historical centre where you can shop, eat a fabulous meal or sip on a cup of coffee, catch a movie, spend the night in an elegant hotel, or stroll along one of the city’s most beautiful streets named after Admiral Fokin that leads you to the renewed Embankment, a great place for recreation and fun. 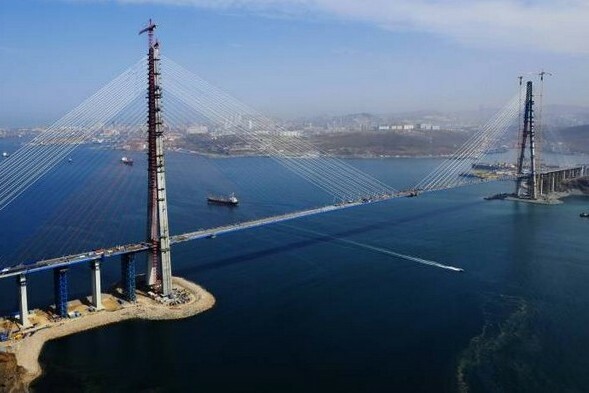 On the threshold of the APEC forum, which will be held here in 2012, Vladivostok will be enriched with new hotel complexes and bridges over the Golden Horn Bay and to the Russian Island. 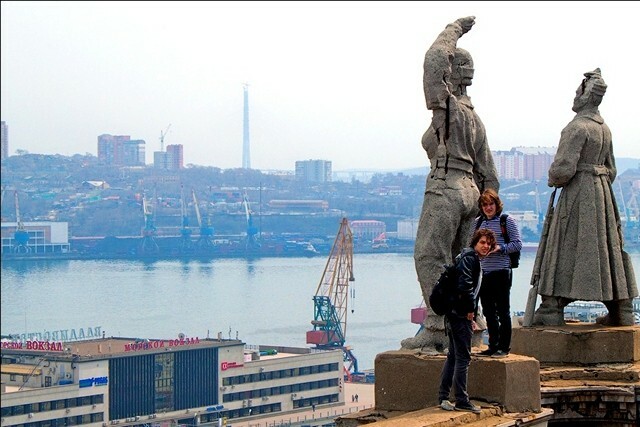 First-time visitors to Vladivostok are impressed with the many monuments throughout the city. 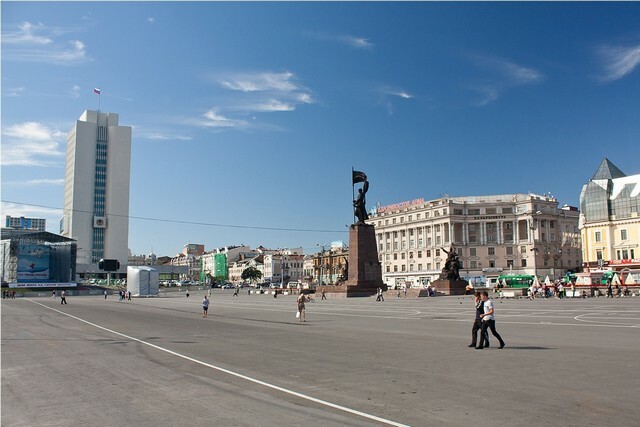 At the central square you can see the memorial to Fighters for the Soviet Power on the Far East. 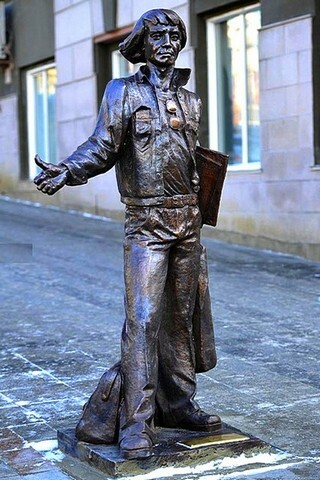 At the Vladivostok train station square there is a monument of Lenin. 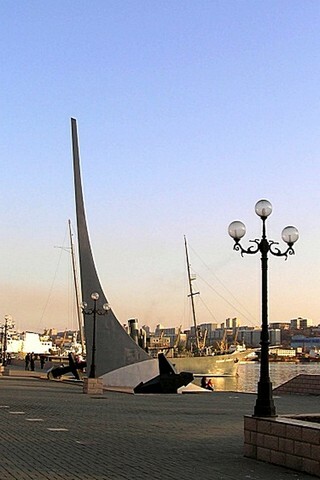 Monuments which honor Russian sailors take a special place in city architecture. 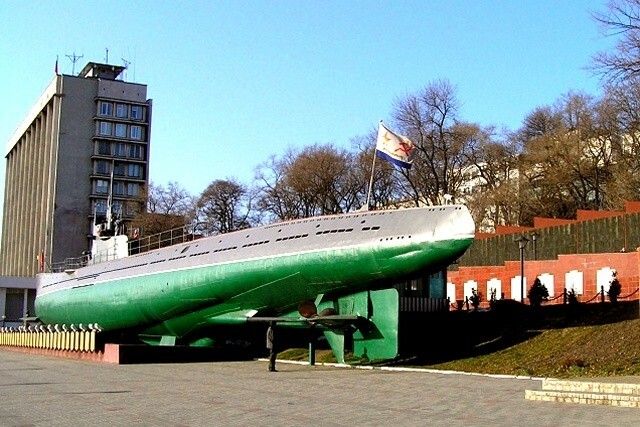 Among them there is a monument to Admiral Makarov, Commander-in-Chief of the Fleet during the war between Russia and Japan in 1904-1905, a memorial to sailors of the merchant navy, who had died during the World War II. 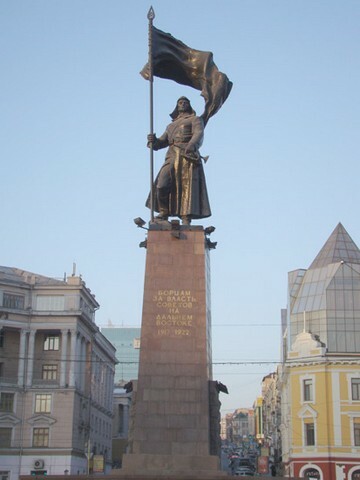 Other memorials remind of the city’s historical past, such as a monument to Admiral Nevelskoy, a famous Russian sailor and explorer. 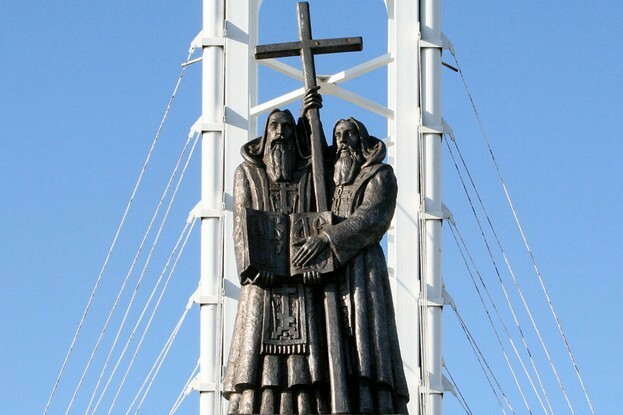 A rostral column and sculpture of sailors are located before the entry to Vladivostok welcoming the city guests. 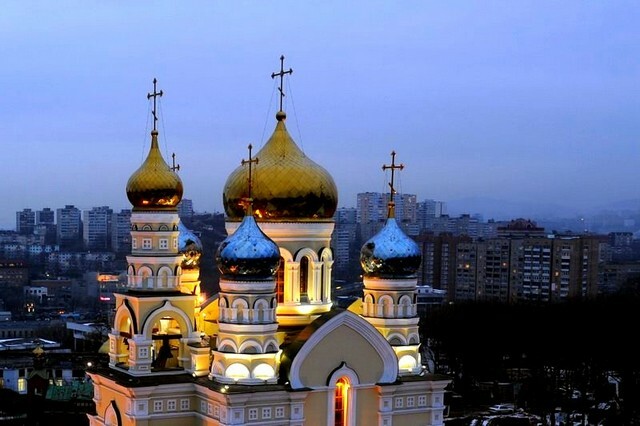 Today, visitors may view some of the exiting old Russian Orthodox churches with the golden cupolas. Other religious attractions include old Catholic and Lutheran churches as well as new churches built in recent years. 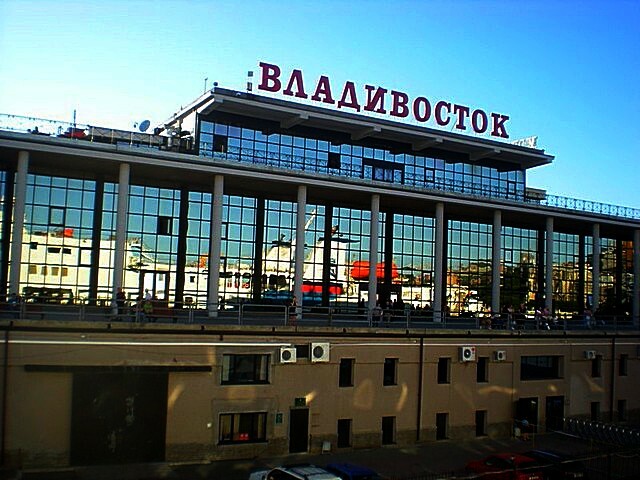 There are a number of theatres in Vladivostok. 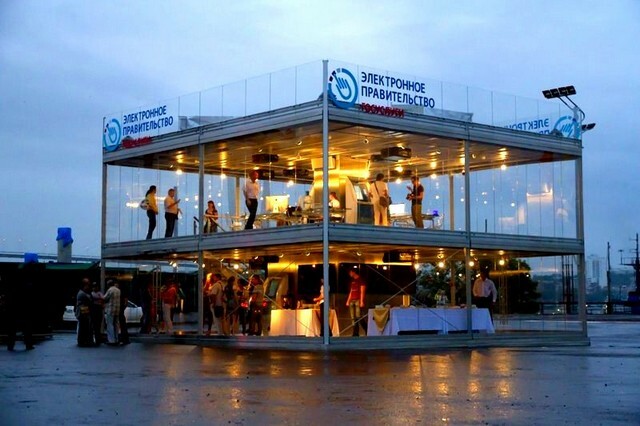 The biggest and the most popular is Primorsky Krai Maxim Gorky Drama Theatre. You can also enjoy the performances of Youth Theatres, the Pacific Navy Theater and the Puppet Theatre. 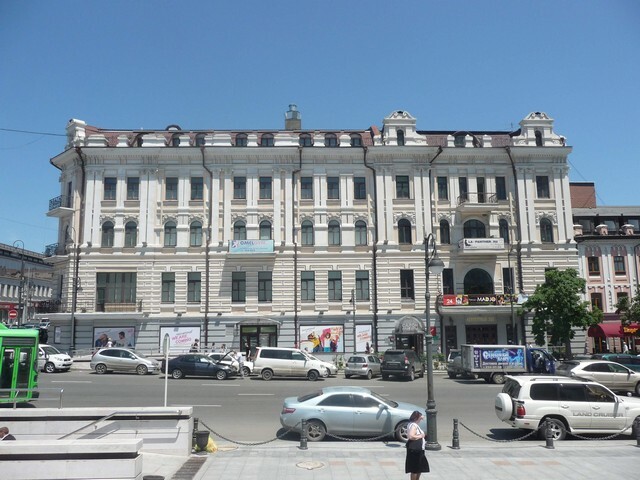 Most concerts in Vladivostok are taking place in the city’s biggest concert hall called FESCO hall or Primorsky Territory Philharmonic Society which has its own concert hall in a historical building in the downtown area. 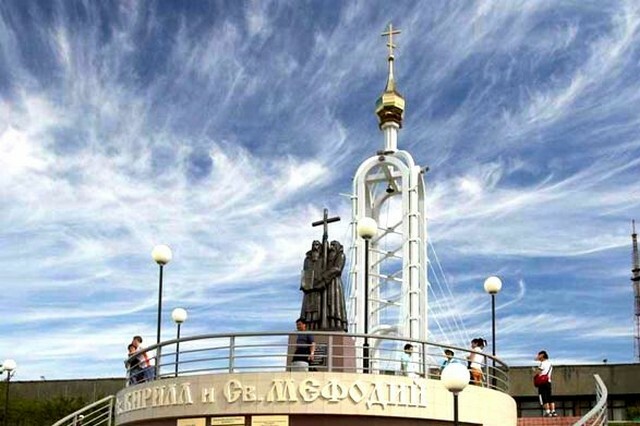 Most tourists visit the Museum of Primorsky Territory Regional Studies named after Vladimir Arsenyev, a famous Russian scientist, writer, and explorer of the Far East. The Museum owns impressive collection on local ethnography, geology, history, flora, and fauna. Expositions of stones, coins, seashells, antique garments and home appliances, ships’ models, old books and photographs are displayed there. 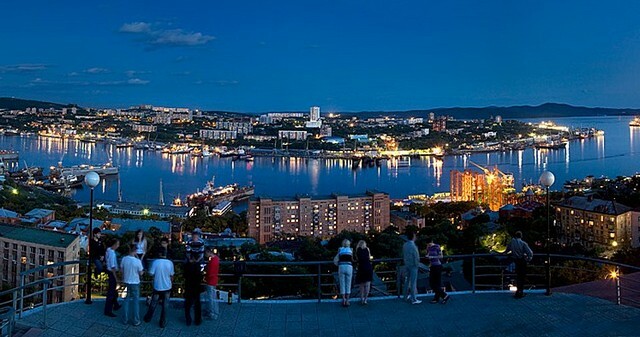 Art connoisseurs will enjoy a visit to the Vladivostok State Picture Gallery which holds a great number of paintings. 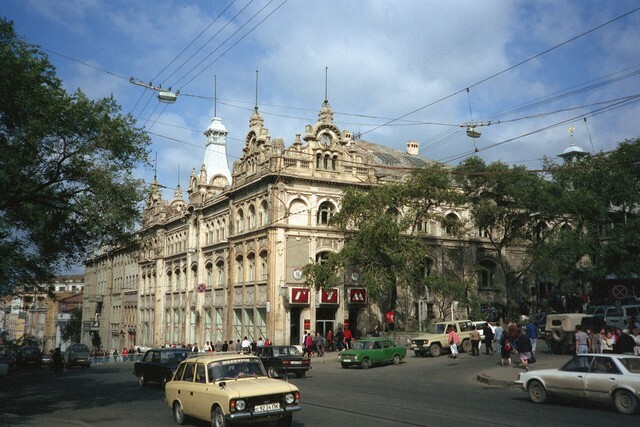 Art exhibitions are regularly held in the exhibition hall of the local branch of the Russian Union of Artists, in the Children’s Picture Gallery, and in various city museums. Private art galleries are worth visiting also. Oceanarium and Dolphinarium provide a perfect opportunity to learn about the unique underwater world of the ocean and its dwellers. 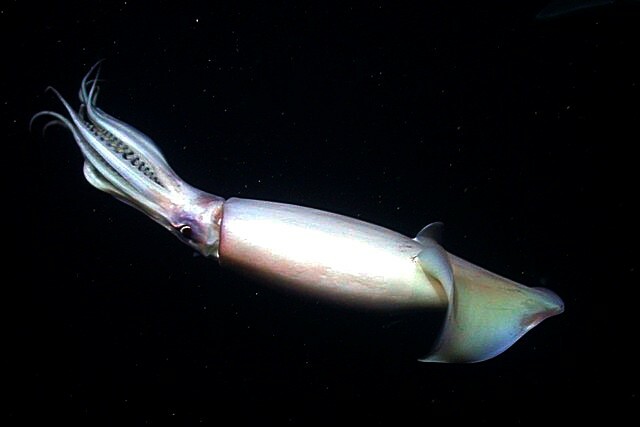 The Oceanarium displays both museum exhibitions and a variety of life fishes and other sea animals. 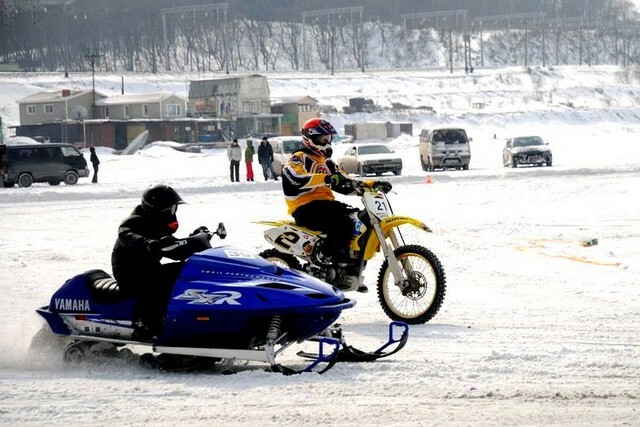 Vladivostok Circus maintains the traditions of the world-famous Russian Circus. Its world-class performances will certainly be of interest for both adults and children. 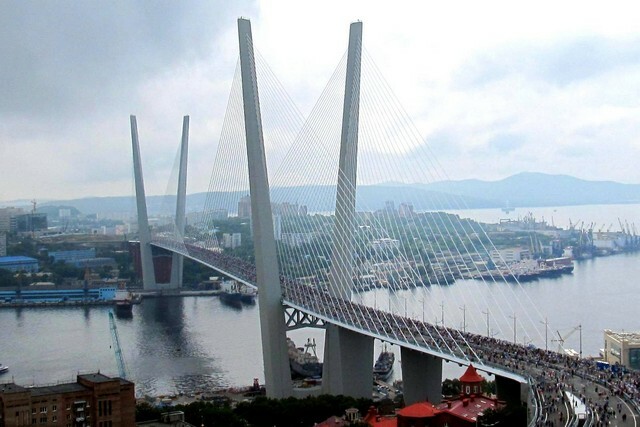 Vladivostok has much to offer to any tourist looking for entertainment: cutting-edge cinemas, billiard clubs, bowling, shopping malls, and cozy restaurants and cafes, where you can enjoy Oriental and European cuisine and taste delicious seafood. 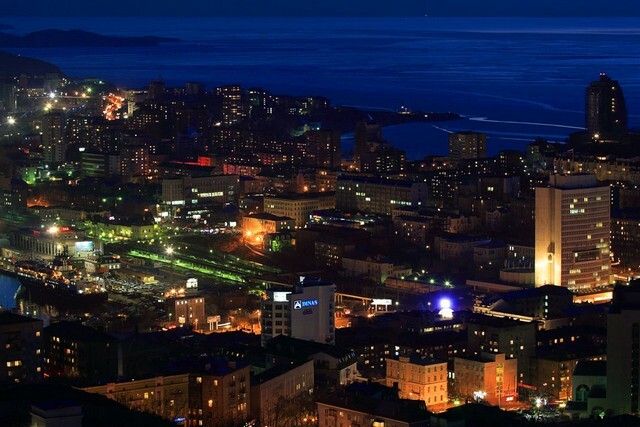 Vladivostok’s nightlife is attractive and diversified. Nightclubs are open all year round, as well as numerous restaurants, casinos, and discs for people of various ages. Pop and rock groups, local and foreign singers are frequent guests of our city both in week-days and holidays. Nightclubs and casinos host various night shows, pop concerts, and dance parties. Strip shows, dance programs, professional boxing matches and Oriental combat masters’ duels are held there. 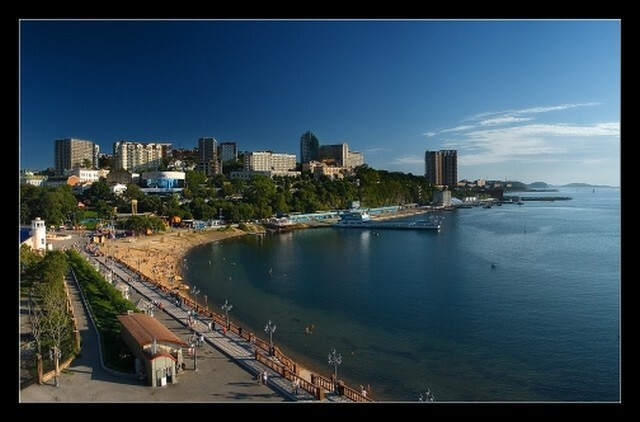 Those who are interested in traveling and admiring the wild nature have many options within and outside Vladivostok. 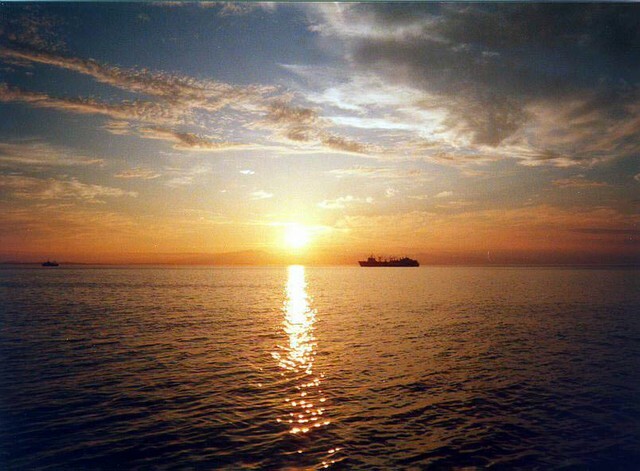 A resort area, not far from the city, provides opportunities to explore the Muravyov-Amursky Peninsula and its waters. 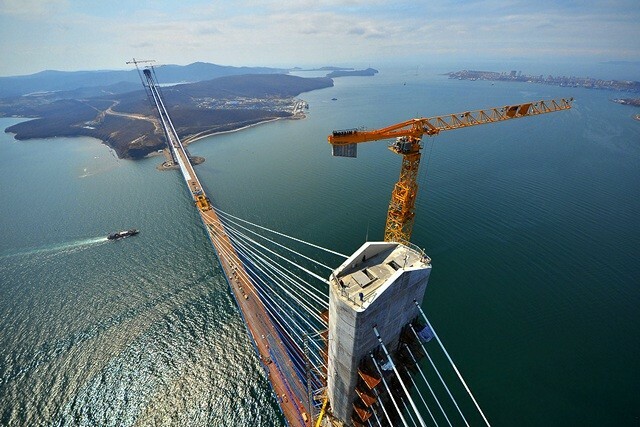 Primorye is famous for its numerous caverns, fancy rocks, deep ravines, rapid rivers with rifts and waterfalls. 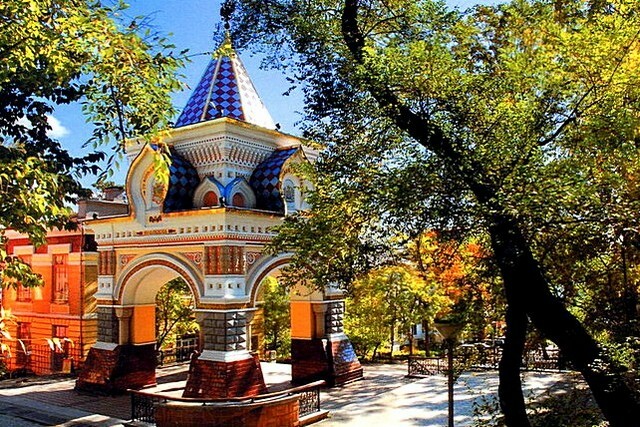 The Vladivostok Botanical Garden is located in the resort area between the city and airport. Its greenhouses display rare plants from all of the continents. The Botanical Garden offers group excursions, but its visitors have an option to walk on their own, taking pictures and enjoying picturesque landscapes. Cedar Fold (Kedrovaya Pad) is the oldest and smallest preserve, founded in 1916. Kedrovaya Pad is famous for the Far Eastern leopard, an extremely rare endangered species. There are also Ussury tigers, wildcats, Manchurian wapiti, and many other animals inhabiting this preserve. Lazovsky preserve is the most inaccessible and therefore quite pristine. Its virgin taiga hosts about 60 mammal species and over 340 bird species. 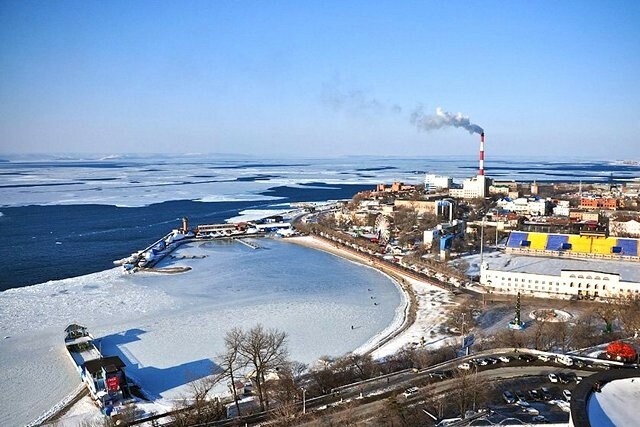 Sikhote-Alin is the biggest preserve in Primorsky Territory. Its most exotic inhabitant at the Ussury tiger, the largest feline and tiger subspecies. Adult males of the Ussuri tiger reach three meters in length and more than 300 kilograms in weight. Ussuriisk State Nature Preserve has the only Russian Far Eastern rehabilitation centre for orphaned bear cubs. There is also a unique cave called the Sleeping Beauty with sings of medieval human habitation. Wide expanses of the exotic lotus flower bloom on Lake Khanka during August. 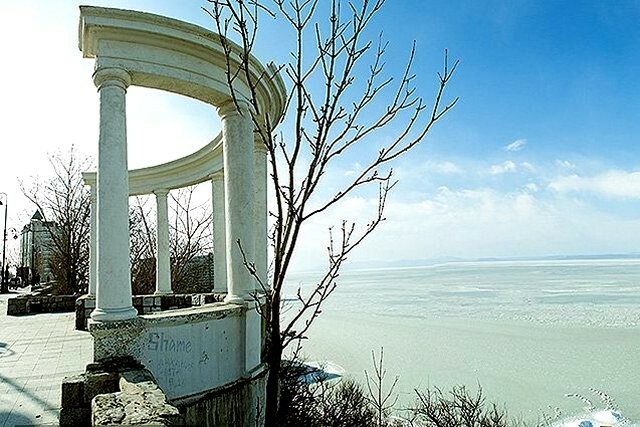 This huge lake divides Russia from China. In addition to the lotus blooms, herons, storks, and the other rare birds inhabit the Khanka Natural Preserve. 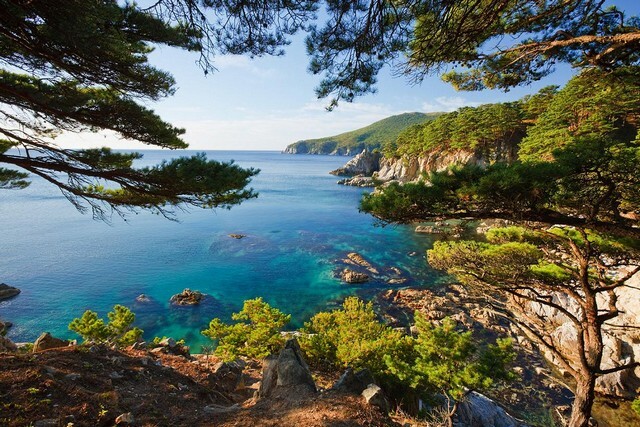 Not far from Vladivostok, the Far Eastern Maritime Natural Preserve spots small islands with and sand and boulder beaches. Located in the Peter the Great Bay to the south of the city, the Preserve is a home to over 3000 plant and animal species and more than 360 bird species. 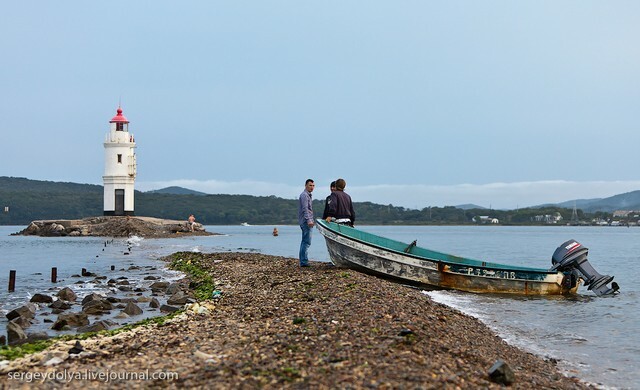 The clear waters of the Amur Bay provide opportunities for tourists to take a short boat ride or an all-day trip at sea. 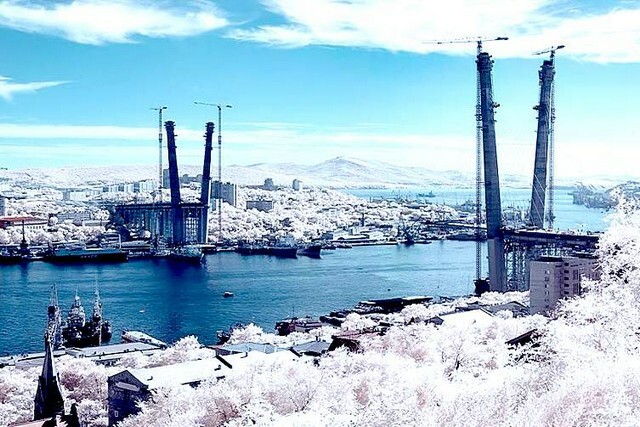 These trips provide spectacular views of azure waters, emerald islands, rocky cliffs, and the unforgettable Vladivostok skyline while tanning, fishing, or taking pictures. Comfortable speed-boat will take you to the islands, cozy bays, sandy beaches, places for fishing and swimming, tents and camps. 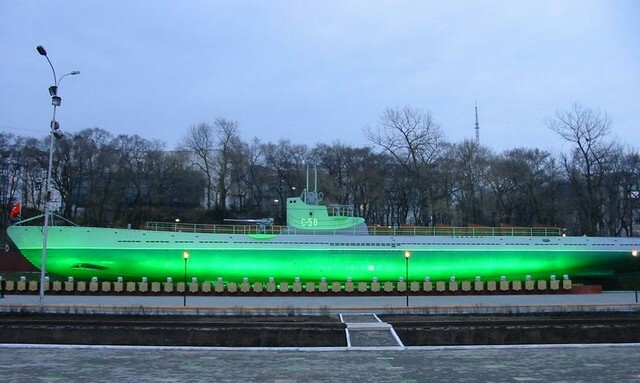 Scuba divers may enjoy the mystery of the underwater kingdom of the Sea of Japan there. Hunters and fishermen can choose from a number of opportunities to pursue their interests. Hunters may purchase o license to harvest elk, bears, deer, and wild boars. The rivers are full of fish including salmon, trout, and char. 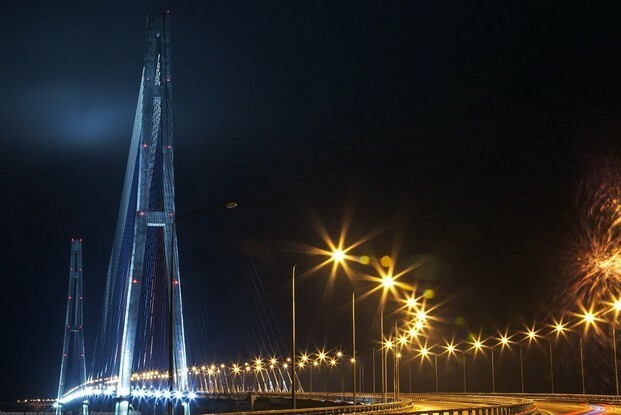 In order to get a Visa to Vladivostok or other cities in Russia, you will need a Visa Support Letter (an invitation) from a Russian tourist agency. Tour companies will be glad to provide visa support, book air and train tickets, reserve hotel accommodation and arrange excursion programs. Guides and interpreters are also available as well as car as bus rental services. 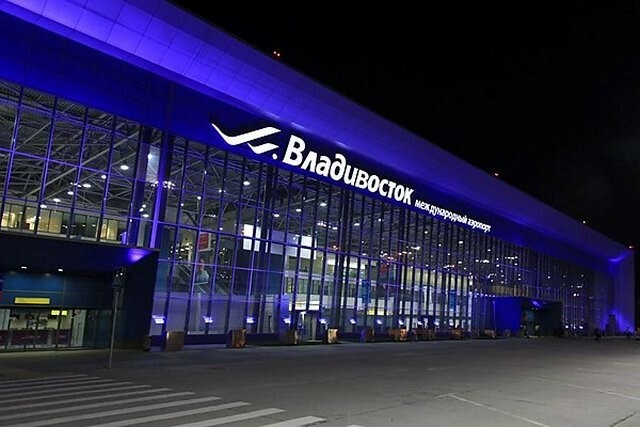 Vladivostok Air Company has direct flights to Beijing, Harbin, Dalian (China), Seoul and Pusan (Republic of Korea), Tokyo, Osaka, Niigata and Toyama (Japan) and Hanoi (Vietnam). 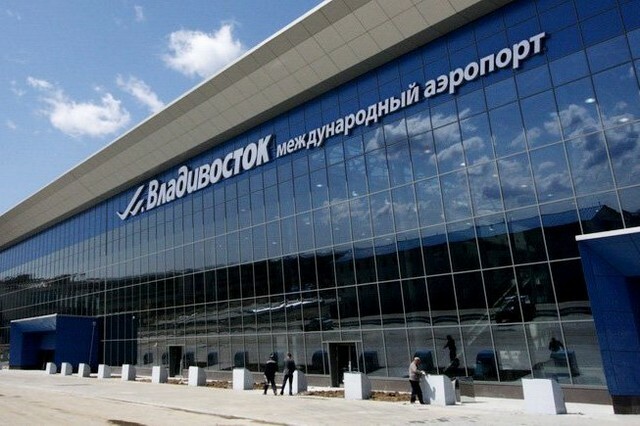 It serves domestic flights to Moscow, St. Petersburg, Abakan, Irkutsk, Yakutsk, Novosibirsk, Ekaterinburg, Krasnodar and other Russian cities as well as charter flights abroad. 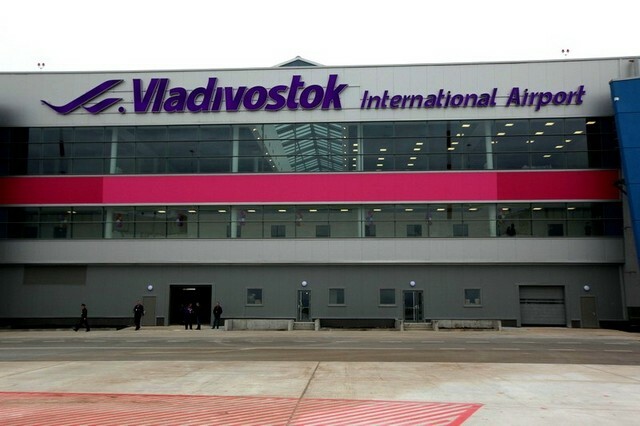 The Vladivostok Airport also hosts regular flights from Korean Air and domestic air carries. Tourists are advised to change money at their hotel’s exchange office or in the bank rather than exchanging money on the street. Official exchange offices accept U.S. dollars, German marks, and Japan yen. 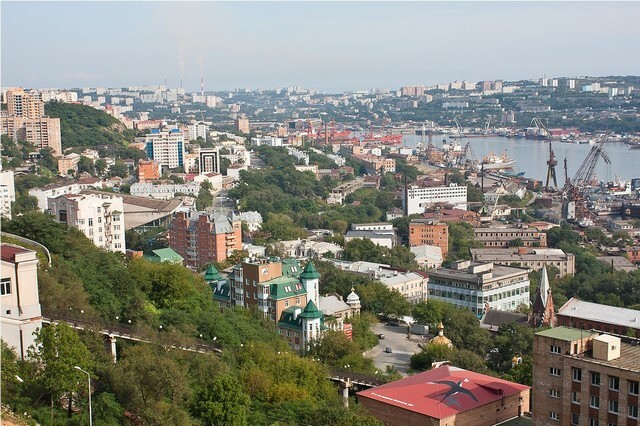 Vladivostok has plenty of hotels to fit any preferences and budget. 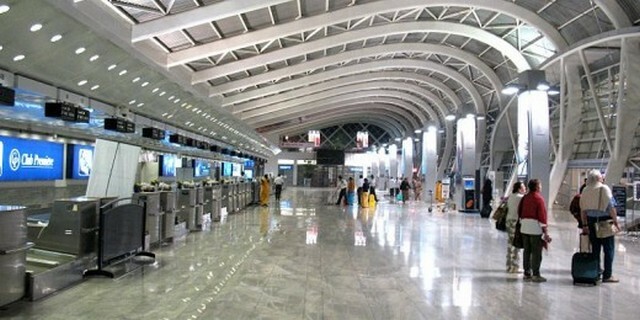 A tourist is offered a wide range of services and may chose from the top class hotels to the budget hotels. Most hotels accept Visa, American Express and other cards. It is possible to rent a room from local people. 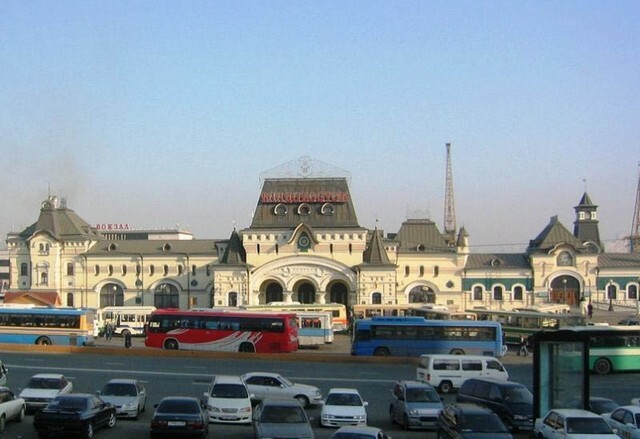 While most of the hotels are in downtown area, a few are located in the outskirts and suburbs. Hotel rates start from $30-$50 U.S. per night in budget class hotel. Mid-price hotels costs about $80-100 U.S., and the highest class hotels can range between $170-$250 U.S. per night or up to $1,000 U.S. for the most luxurious rooms. 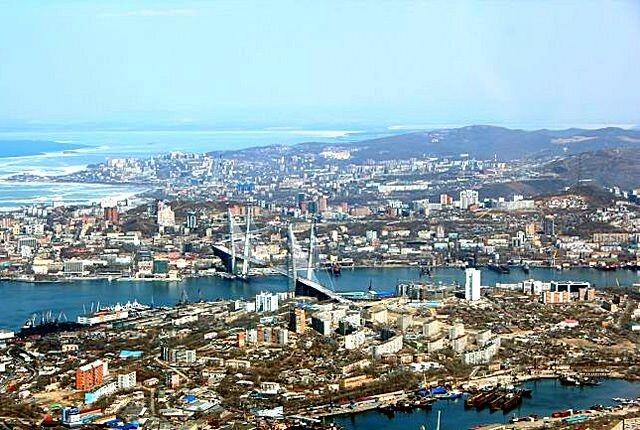 Vladivostok has many restaurants which provide opportunities to experience international cuisine and it is easy to find a place to have a tasty meal and good service. Restaurants, bars, pizza-houses, cafes, cafeterias are located in down town as well as in other areas. Russian and Chinese cuisines are the most popular but it is also possible to dine in restaurants specializing in European, Japanese, or Korean food. Local chefs are proud of their elaborate seafood menus. As a rule, restaurants have karaoke bars, live music, and dance floors. 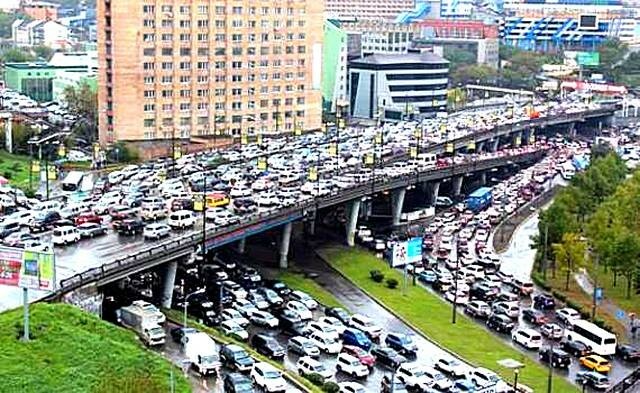 Vladivostok weather is somewhat unpredictable. 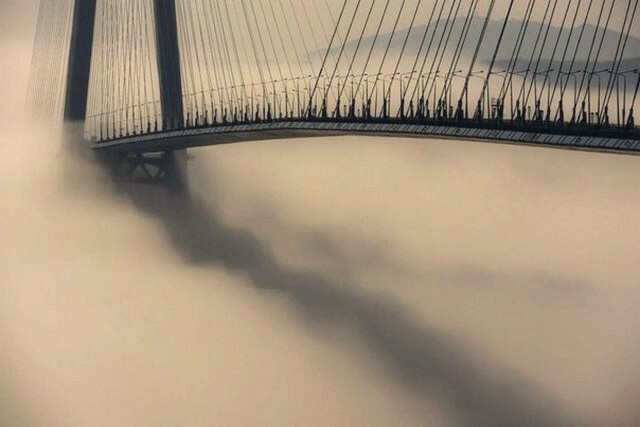 Generally it is quite windy in winter and rainy and foggy in summer and spring. The average temperature in January is 12-14 degrees below zero on Celsius scale (40-58F), and the average temperature in July is 18 degrees above zero (64.4F). 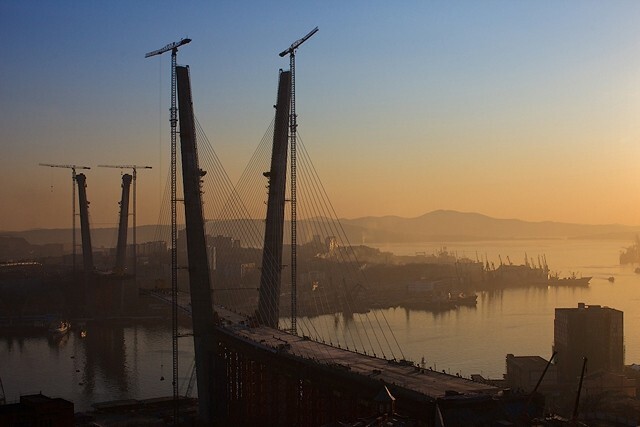 The best time to visit Vladivostok is from July to October. Tourists should be aware that visits to the taiga in spring and summer may be dangerous because ticks ate very active during this time. Some of these ticks transmit encephalitis. If you travel plans include an extended stay in the forest, you may wish to be inoculated against encephalitis in advance.